Hear what travelers, administrators and parents are saying about GeoBlue. 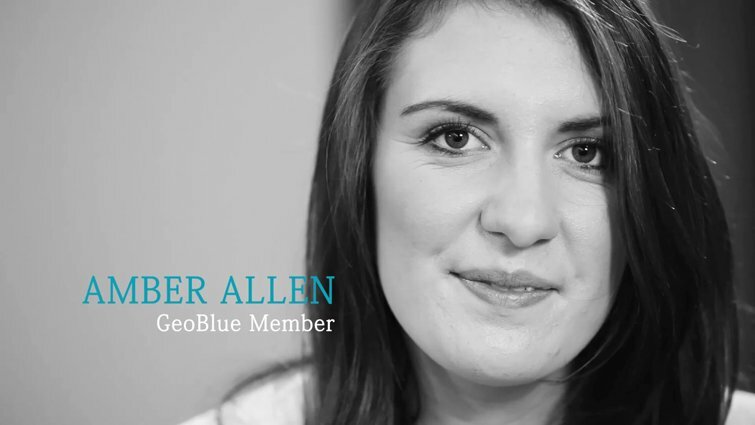 "To us, the biggest advantage GeoBlue provides is superior Account Management. We have a single point of contact for all services. That's what makes this work – there's never any guessing on our end, and never difficulty in figuring out how to get something accomplished. This model works really well." "I've had marvelous experiences with GeoBlue. I've required healthcare in two countries, both with obscure languages and their own quirky hospital systems, and you have handled it all with ease. Every time I have called your customer service, the advice has been expedient and expert. Most importantly, because this is not my experience with all insurers, you have always kept your promises. It is such a joy to travel without having to worry whether I can afford medical help or not, or whether I'll need to fight for six months to get reimbursed.Thank you so much!" "When the reality hit me that my son was sick in a foreign country over 7,000 miles away in the Philippines, I felt helpless. But the GeoBlue staff was so caring and helpful. They were able to tell me how close the best source of care was from his location (only eight miles!) and explained about the high standards of care all their facilities have agreed to provide. And the fact that my son could use the mobile tools to secure care and arrange for direct payment provided even more assurance that he would be supported by a completely competent and forward thinking company!" "Wow! That clinic was the nicest one that I’ve ever been to. The staff was really helpful and expeditious. I showed up early for my appointment, but they accommodated me immediately so I didn’t have to wait. And from what I understand, they did all that because I am a GeoBlue customer. I've been sick abroad before, but I never received customer service like this." "We were so our of our element and so frightened and GeoBlue assured us that things were being taken care of and that they would be handled just as well if we were in the States. This was an incredible burden, and you took it off of us."